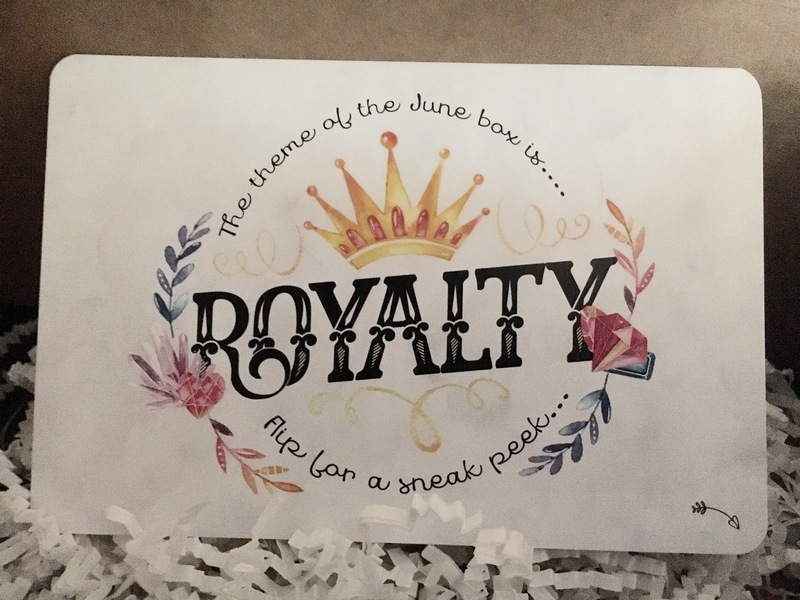 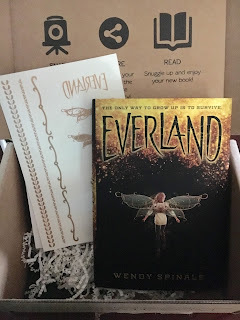 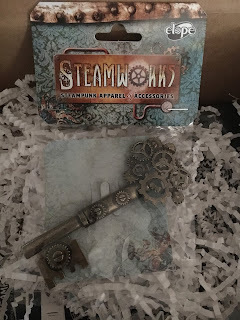 May 2016 Owlcrate - Steampunk! This month's Owlcrate theme was steampunk, which is one of my favorite genres/aesthetics ever, so I was VERY excited for this box. 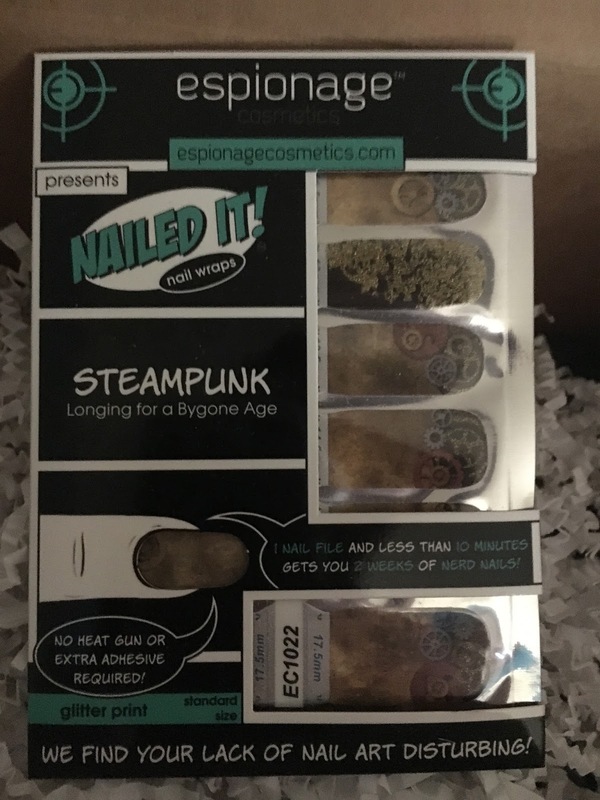 Let's get to it. We got this adjustable ring from Sparks Emporium. 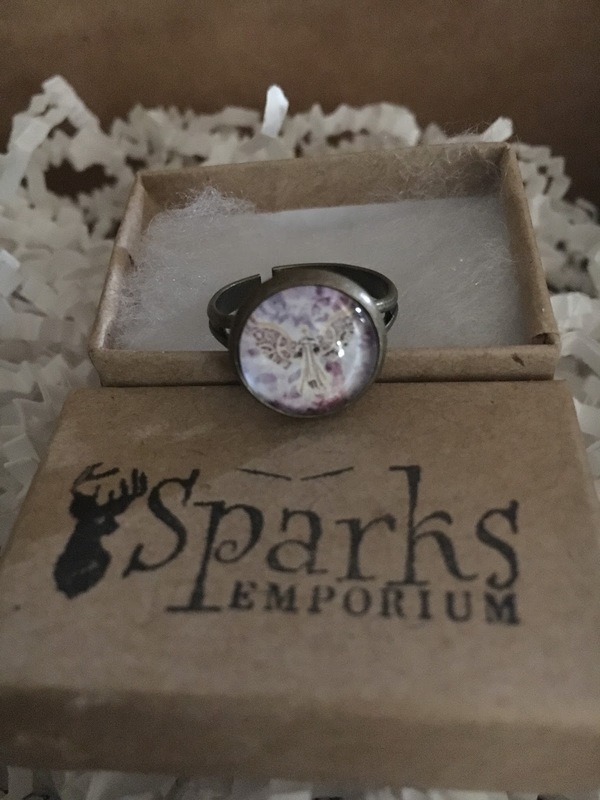 It's hard to see in my picture, but the design is a steampunk angel. 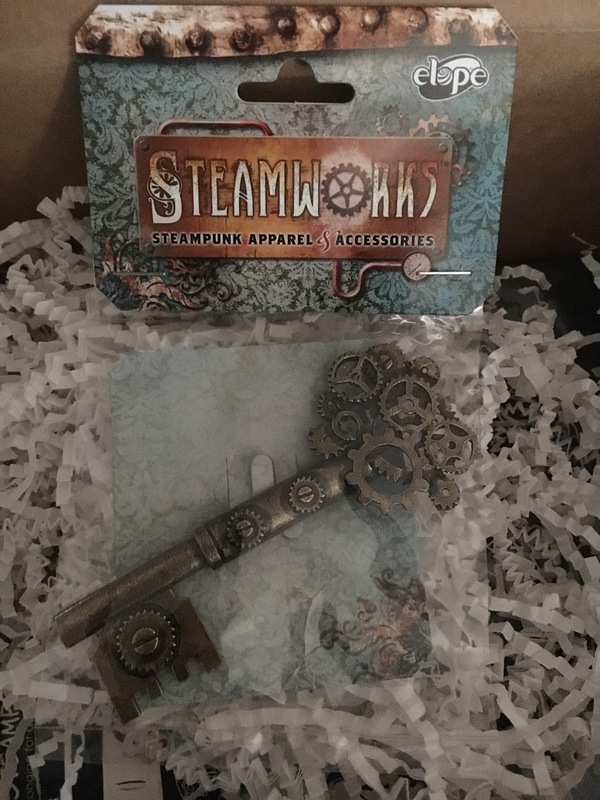 There is also a key brooch from Steamworks. 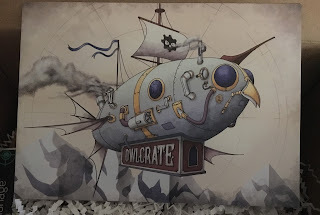 I am in love with this, and I need to find something spectacular to pin it on. We also got a set of steampunk-inspired nail wraps from Espionage Cosmetics. 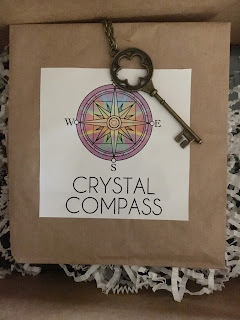 We also received a key necklace from Crystal Compass (on Etsy). 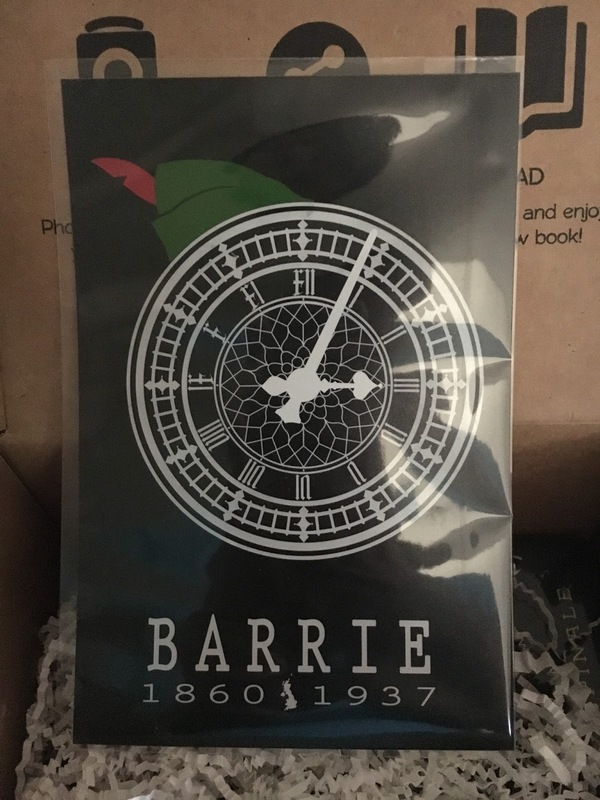 And apparently we're getting some cute bookmarks! 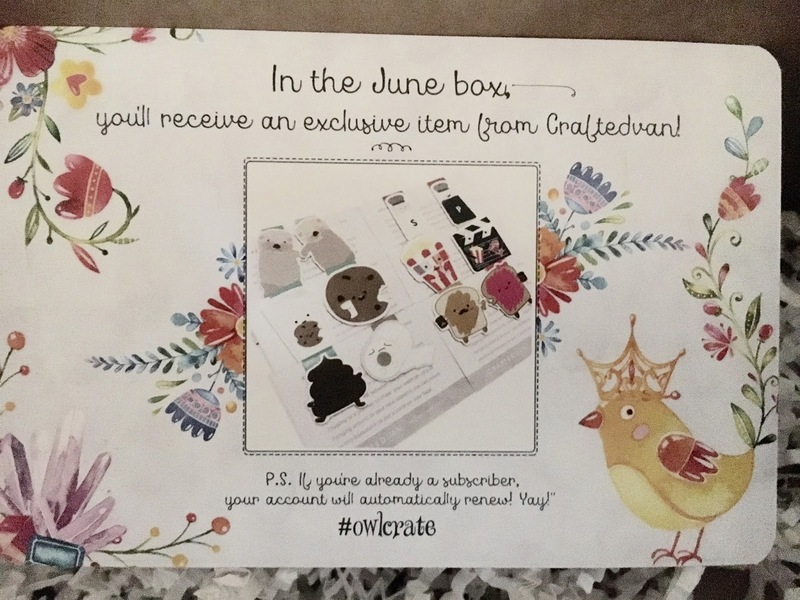 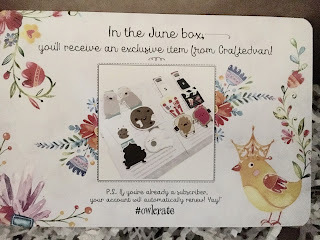 If you would like to sign up for your own Owlcrate subscription, please feel free to use my referral link.